[News] "A Simple Life" & "Seediq Bale" Asian films nominated for Venice film festival's Golden Lion 2011. ROME : Battling Hollywood big-names such as George Clooney and European classics like "Wuthering Heights" for the prestigious Golden Lion will be three Asian entries including an adaptation of manga classic "Himizu" by celebrated Japanese director Sion Sono. Adapted from Minoru Furuya's dark psychological manga "Himizu", the story is about a troubled junior high school boy whose life descended into darkness after being abandoned by his parents. The film is directed by cult favourite director Sion Sono, who had previously dabbled in directing films of the same genre including 2001 thriller "Suicide Circle" and the 2008 "Love Exposure" which won the Caligari Film Award at the Berlin International Film Festival. Twenty-two films, all world premieres will compete for the Golden Lion award with screenings at the glittering Venice Film festival which opens with "The Ides of March", George Clooney's fourth film as director, that's expected to draw actors Ryan Gosling, Philip Seymour Hoffman and Evan Rachel Wood. Also in the running for the award are European entries that include Roman Polanski's "Carnage", "Tinker, Taylor, Soldier, Spy" by Tomas Alfredson and "Wuthering Heights" by Andrea Arnold. Apart from the Japanese entry, the other Asian films being screened for the prestigious awards include China/Hong Kong film "A Simple Life" starring Hong Kong actor and actress Andy Lau and Deanie Ip, and China-Taiwan film "Seediq Bale". "A Simple Life" directed by Ann Hui, three-time winner of Best Director for the Hong Kong Film Awards, "A Simple Life", is based on a true story, illustrates the touching relationship between a man and a servant who worked in his family for five generations and took care of him since he was born. 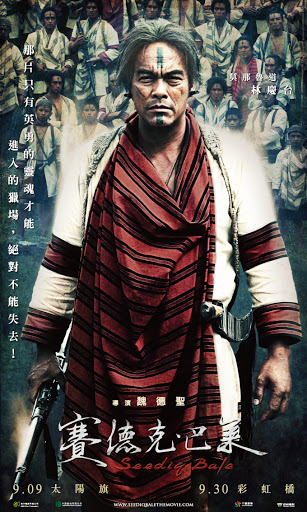 China-Taiwan film "Seediq Bale" which is based on true events of the Wushe Incident in the 1930s depicts the anti-Japanese struggles of the Seediq warriors from Formosa (now Taiwan). By Wei Te-Sheng, director of 2008 film "Cape No. 7"-- the second highest grossing film in Taiwan, the film is split into two 90-minute installments to be released in Taiwan in September. All eyes however, are on the red carpet and the expected appearance of Hollywood heart-throb George Clooney whose movie "Goodnight and Good Luck" won best screenplay and best actor awards in Venice in 2005. In his latest movie "The Ides of March" Clooney doubles as the star of the US presidential campaign thriller, where a fresh-faced aide helping the Democratic governor campaign in the Ohio primaries discovers just how dirty politics can be. Fans eagerly attending the premiere are already speculating about who will accompany the rakish 50-year old down the red carpet after he announced his split from Italian girlfriend Elisabetta Canalis last month. Madonna and Al Pacino will also grace the red carpet at this year's Venice film festival although their movies are not in the competition. Screening "W.E. ", a film about King Edward VIII's romance with American divorcee Wallis Simpson, will be American music icon Madonna, who's hoping for a better reception from the critics for efforts as a director, as compared to her first film "Filth and Wisdom". That movie is expected to draw large crowds along with the presentation by "The Godfather" star Al Pacino, of his third film as a director, with a version of Oscar Wilde's once-banned "Salome". The grisly tale of lust and greed that's part documentary, part drama, also stars Pacino as King Herod. Skipping events and the screening of "Carnage" which is set in New York's Brooklyn but shot in Paris, will be cult director Roman Polanski. Wanted for alleged sexual assault, Polanski is staying away out of fear of extradition said officials in Venice, although the stars of the comedy-drama Jodie Foster and Kate Winslet are expected to make an appearance. The Venice Film festival which is the oldest in the world runs from August 31 to September 10 and the official line-up for the 68th edition of the top prize will include a "surprise" film to be revealed closer to the time. 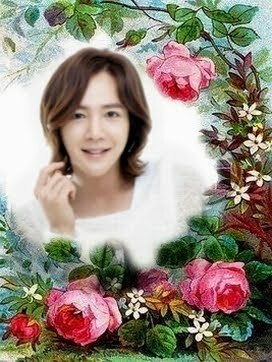 [News] Jang Keun-Suk wishes to collaborate with Andy Lau. Mainland China first 100 episode magical ?imaginary idols? TV comedy drama Andox and Box will held its press conference in Beijing on 16 October. Director Lu Xiaoping together with the main cast Andox, Box, Kristy Zhang (aka Baby Zhang) and Shao Feng will made an appearance. Andox and Box’s “mother” Andy Lau will also specially made an appearance to show support for his two sons. The caring and strict “mother” with the active and cute sons would stage a warm and blissful show. This drama will be a breakthrough from the normal animation drama to be acted out by humans, taking up the magical theme challenge, it also incorporate many songs and dances, the whole drama was completed with humans and imaginary idols. In the drama, Andox and Box will no longer be “naked” as they would be wearing lots of special costume. The highlight of the drama will be the love relationship between Kristy, Andox and Box. [VOD & News] 'Seediq Bale' China-Taiwan film nominated for 'Venice film festival's Golden Lion 2011' & trailer. 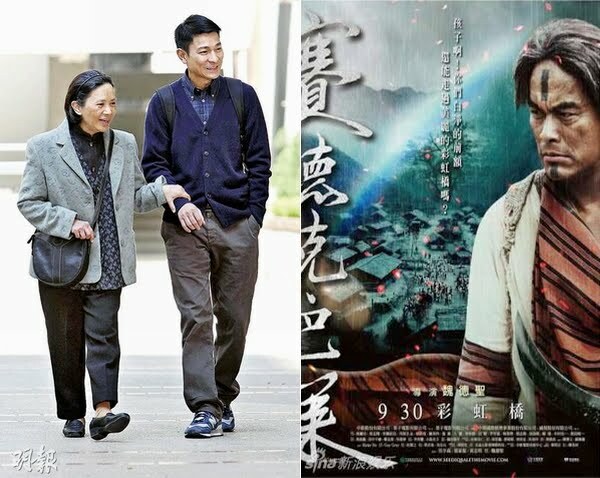 China-Taiwan film "Seediq Bale" which is based on true events of the Wushe Incident in the 1930s depicts the anti-Japanese struggles of the Seediq warriors from Formosa (now Taiwan), by Wei Te-Sheng, director of 2008 film "Cape No. 7", the second highest grossing film in Taiwan, the film is split into two 90-minute installments to be released in Taiwan in September. The decorated cast includes Japanese actor Ando Masanobu, Taiwan singers Landy Wen and Vivian Hsu. 'Seediq Bale' China-Taiwan film nominated for 'Venice film festival's Golden Lion' this year. The more I read about Wei Te Sheng's two-part epic 'Seediq Bale', the more excited I am to see it. Purported to be the most expensive production in the history of Taiwanese Cinema, the story of the 1930 struggle by the indigenous aborigines to defend their homeland from the might of the Japanese military looks to be cinematic gold. The film will have its World Premiere at this year's Venice International Film Festival, although reports are unclear over whether or not both parts will be screening - but I guess we should assume that will be the case. The film will then open in its native Taiwan on 9/9 and 9/30 respectively, and hopefully will head to Hong Kong and China soon after. The new trailer is now out and it gives a much better indication of the individuals characters upon which the story will be based and particularly the conflicting emotions of one young aborigine who finds himself part of the Japanese war machine and faced with the unenviable task of policing his own people. The production values, cinematography and performances are all looking pretty great at this stage - let's hope this proves to be the hugely entertaining epic it is promising to be. [English Sub] 'Seediq Bale' - Theatrical Trailer 1. [English Sub] 'Seediq Bale' - Theatrical Trailer 2. [News] A Simple Life to compete in 68th Venice Film Festival. 68th Venice Film Festival announced the list of competing films yesterday, a total of 22 films will be competing for the Leone d’oro. There will be two Chinese films competing which are Ann Hui’s A Simple Life which starred Andy Lau and Deanie Ip; and Wei Te-Shen’s Seediq Bale. Being one of the competition film, this means that Andy and Deanie will be vying for the Best Actor and Actress award, however, they would be facing fierce competition from George Clooney’s The Ides of March and Roman Polanski’s Carnage. Venice Film Festival chairman Macro Muller had wanted to watch A Simple Life but it was not completed, as the final editing was completed in early August and added English subtitles, Muller immediately flew to Beijing to watch the film and invited her to compete in the festival. Deanie expressed that she was very lucky and pointed out that it’s the result from the whole crew, “My film to be able to make it overseas for the first to allow more people to know about Hong Kong films, of course delighted and being nominated as one of the competition film, really hard to come by.” It was said that foreigners only know about Asia’s kungfu and action films, thus she expressed that A Simple Life is a good drama film which allow foreigners to know different type of Oriental films. Deanie is also excited that she could walked down the red carpet with Andy thus she immediately approached image consultant to choose a suitable dress, she also planned to fly to Venice in advance to adapt to the time difference. Andy who was in last year’s Venice Film Festival with Detective Dee and the Mystery of Phantom Flame, naturally he’s delighted to return this year, he said: “Hard to get the chance to collaborate with Deanie, now could hold her hands and walk down the red carpet, of course delighted. Yet another unforgettable experience with Deanie in my life.” Andy is also delighted that Chinese films are being recognized again, “This time round, 'A Simple Life' is a localized Hong Kong film, it would be encouragement and confidence for those localized Hong Kong films. [Article] History's Crown Prince Yeoning in 'Dong Yi' / องค์ชายยอนอิง รัชทายาทลำดับที่ 2 ในละครเรื่อง " ทงอี จอมนางคู่บัลลังก์"
องค์ชายยอนอิง รัชทายาทลำดับที่ 2 ในละครเรื่อง " ทงอี จอมนางคู่บัลลังก์"
Prince Yeoning (연잉군 1694–1776), to become Yeongjo of Joseon, only known son of Royal Noble Consort Suk of the Haegu Choi clan. His given name was 'Yi Geum', Prince Yeoning was the second son of Sukjong by Lady Suk-bin of the Choi clan , succeeded his older brother Gyeongjong. King Yeongjo was a deeply Confucian monarch, and is said to have had a greater knowledge of the classics than his officials. During the reign of Yeongjo and his grandson Jeongjo, Confucianization was at its height, as was economic recovery from the wars of the late sixteenth and early seventeenth centuries. The king is also famous for having treasured Park Mun-su, who was appointed as Amhaeng-eosa (암행어사) or a secret governmental inspector. Park, who had earned great merit in putting down Yi In-ja's rebellion, went around the nation arresting corrupt local officers in the name of the king. [VOD & News] 'Protect the Boss' long trailer released. SBS’s upcoming drama “Protect the Boss”long trailer released. The drama stars JYJ’s Jaejoong, Ji Sung, Choi Kang Hee, Wang Ji-hye, Park Young Gyu, Cha Hwa Yeon, and Kim Chung Ee and will replace “City Hunter“. The storyline about a woman (Choi Gang-Hee) struggles to find, but finally lands a job as a secretary. She then falls in love with Cha Ji-Hun (Ji Sung) her handsome boss. Jaejoong cast as Cha Moo-Won a sharp and skilled “prince of the financial world,” while Wang Ji-hye as Seo Na-Yoon a perfect controlled lawyer. “Protect the Boss” first episode will be air on August 3rd, check out the extended trailer below. [Eng Sub] 'Protect the Boss' long trailer. 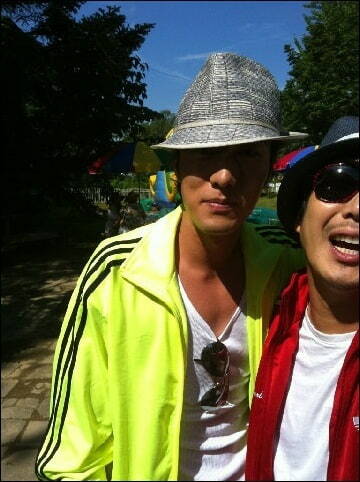 [News] Haha & So Ji Sub rock similar outfits for ‘Infinity Challenge’. On July 30th, PD Kim Tae Ho of MBC’s ‘Infinity Challenge‘ shared a photo of Haha and actor So Ji Sub posing side-by-side in track suits. Dressed in colorful track suits with matching fedoras, the two showed off their individual fashion sense for the show. Haha went a step further by adding sunglasses to complete his look. [News] Shin Se Kyung’s old graduation photos reveal her natural beauty. Shin Se Kyung’s graduation photos from elementary school were recently revealed through an online community post under the title, “Maturity different from others, Shin Se Kyung’s elementary school graduation picture“. The three photos – taken from elementary school to high school to her present age – showcase her everlasting beauty. Netizens remarked, “She was pretty even when she was young“, “It’s enough for Han Jung Soo to mistake her as a lady“, and “Natural beauty“. [News] 2PM holding concerts in Germany. Pop Idols Bringing Korean Wave to Germany. The growing popularity of K-pop bands in Germany indicates that the Korean Wave may have finally made its way to Western Europe. According to the VIVA Online Clip Charts, girl group 2NE1's recently released song "I Am the Best" ranked top of the charts this week. This was followed by "Mona Lisa," by boy band MBLAQ, and Beast's "Breath." Songs by 2PM, Super Junior-M and Big Bang also made their way into the top 100. The VIVA chart is compiled by German music TV channel VIVA based on the number of downloads and music video hits the songs receive online. The station is equivalent in clout to MTV in the U.S., and is in fact now under the management of MTV following a recent acquisition and merger. VIVA News reported on Wednesday that K-pop, a new force to be reckoned with in the mainstream music industry, has recently moved beyond Asia and into Europe. It said this is similar to what happened in the 1990s with Japanese music, when J-Pop became hugely popular around the world. One of the key to K-pop's success, it said, is the attractive looks of its singers, many of whom have undergone cosmetic surgery. "K-pop idol groups such as Beast, 2NE1, TVXQ, MBLAQ, Super Junior and Big Bang were modeled after boy bands and girl groups in the West," it reported. "Korean management agencies, notably SM Entertainment, discover young talents and nurture them into becoming highly successful groups. Many Korean groups are immensely popular in Japan, so they sometimes sing in Japanese." Meanwhile, JYJ, another local boy band, has expressed its wish to hold a concert in Germany at either the end of October or in early November, the Korean Embassy in Berlin said. "JYP Entertainment, which manages Wonder Girls and 2PM, is also considering holding concerts in Germany," it added. [News] Actress Kim Hyo-jin Takes Message of Hope to Albanian Children. A girl kisses Kim Hyo-jin at a residential area in Dibra, Albania, during the actress' visit to the country in her real-life role as an ambassador for the charitable organization World Vision. Actress Kim Hyo-jin's real-life role as a promotional ambassador for the evangelical charity World Vision has taken her to danger spots around the world. She has visited some of the poorest countries on the planet, such as Mongolia, Laos, and Uganda, and even found herself engaged in volunteering activities in Sudan last year amid a pitched gun battle. However nothing prepared her for what she encountered in Albania, where the dire conditions had almost stripped local children of their will to live. "When I was in Africa, I would hear children talk about their hopes. But the children here do not seem to cherish any dreams at all. I never imagined such a [miserable] place could exist in Europe", said Kim, who has been working with the charity since 2005. She put on a brave face when she first met the Albanian children, but shed tears when she had to leave them. At this year's summer camp hosted by the charity organization in the eastern European country, Kim sought to plant the seeds of hope in some of the kid's minds. "Amid such awful conditions, it seemed there was nothing I could do to make things better. But I saw the children become filled with hope after the camp", she said. "I'd like to help them so that more positive changes can take place [in their lives]". Kim now sponsors a dozen children in Asia and Africa. When Haiti was struck by an earthquake last year, she and her boyfriend, actor Yoo Ji-tae, each donated W10 million to help the victims (US$1=W1,052). Through World Vision, the only Korean non-governmental organization working in Albania, over 5,500 children have found sponsors, and another 1,500 are waiting for someone to help lift them out of their desperate situation. [Photo] 'Dong Yi' Behind The Scene from IMBC. [Article] Book probes transnational identity of 'Hallyu'. K-pop fever has been reignited, as illustrated by the success of recent concerts in Paris. Fans that have yet to see Korean performers on stage are forming flash mobs and group dances as they clamor for more K-pop concerts. The popularity of K-pop culture has truly become international. 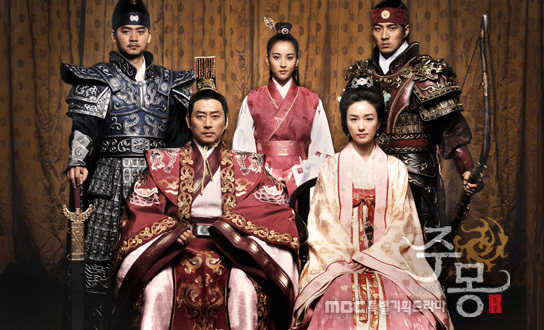 Korean television dramas, songs and movies originally grew popular in the early 1990s. The influence of "hallyu" or Korean wave, spread through Asian countries and reduced Western cultural dominance in the Asian market. A newly released book further investigates the worldwide phenomenon of Korean popular culture. Titled "Hallyu: Influence of Korean Popular Culture in Asia and Beyond", the book, edited by Kim Do-kyun and Kim Min-sun and published by Seoul National University Press, delves into the origin of the phenomenon from the past to the present and analyzes the transnational identity of hallyu. Consisting of 16 chapters, scholars from various fields such as communications, sociology, history and international relations in the United States and Europe. Korea wrote research articles after observing hallyu over the few last years. The book has two purposes: the first is to analyze hallyu in various perspectives and the second, to present Korean perspectives on the hallyu phenomenon by providing international readers with analyses by Korean scholars. In the past, Western popular culture, led by American cultural hegemony, mostly ruled the international landscape. However, recently its transnational mobility across Asia and beyond has produced many socio-cultural and political spinoffs. Kim Yuona, associate professor of global communications at the American University of Paris, explores the reason of the popularity of Korean cultural products, particularly television dramas in the article "Globalization of Korean Media: Meanings and Significance". Kim sheds light on various perspectives of the popularity of Korean dramas - emotion, reflexive modernity and family. The first common response in various transnational locations is that Korean television dramas are "emotionally powerful". "The audiences enjoy savoring the subtlety of emotions, and K-dramas are perceived to have captured the delicacy of emotions through adept direction techniques", Kim writes in the article. Korean television dramas are infused with urban middle-class scenes that effectively portray youthful sentimentality and provide images for an increasingly regionalized "Asian modernity". Asian values, which put more emphasis on familial relationships, filial piety and sibling love, are widely dealt with as the central themes which are loved by cross-generational viewers in Asian countries. As hallyu spreads throughout parts of Southeast Asia, Central Asia, the Middle East, and Latin America, North America is becoming the test market for new exports. In "Medium Hot, Korean Cool: Hallyu Envy and Reverse Mimicry in Contemporary U.S. Pop Culture" by Chung Hye-seung at Oakland University, the author deals with indirect effects of hallyu in the U. S. While Korean movie star, Lee Byung-Hun and pan-Asian pop idol, Rain, have appeared in the recent Hollywood blockbusters "G.I. Joe: The Rise of Cobra" (2009) and "Ninja Assassin" (2009) respectively, most hallyu stars are virtually unknown to mainstream American audiences who have limited access to subtitled Korean films and television programs. However, rather than be pessimistic about hallyu not making an entry into mainstream U.S. culture, the chapter examines a "micro invasion" of Korean culture on American primetime television and in mainstream Hollywood films. "Lost in Cinematic Translation? : The Lake House, "Il Mare" and the Hollywoodization of Korean Culture" written by Bae Keun-min, a Ph.D. candidate at the College of Communications at Pennsylvania State University investigates how Hollywood has been producing its adaptations of "made-in-Korea content". The article analyzes the cultural values reflected in the original Korean film, "Siworae" and the extent to which these values were removed or replaced with American values when it was reborn as "The Lake House",the first-ever Hollywood version of a Korean film. 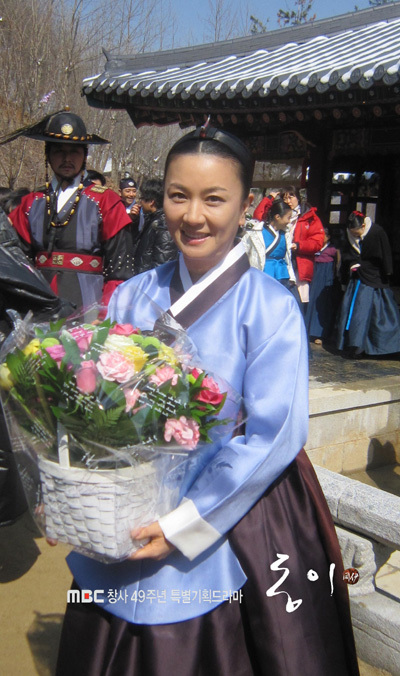 Sueen Noh, adjunct instructor in the department of broadcasting, telecommunications and mass media of Temple University, discusses the phenomenon of Korean popular culture in the Middle East provoked by Korean dramas such as "Dae Jang Geum" ("Jewel in the Palace") and "Jumong". The article titled "Unveiling the Korean Wave in the Middle East" says that the recent popularity of Korean cultural products in the Middle East such as Iran and Egypt is "reconnecting the Silk Road in the 21st century". The newest hallyu phenomenon is found in the Middle East, which is geographically much farther from Korea than its predecessors. Korean television dramas reinforce traditional values of Confucianism that Iranians find more closely aligned to Islamic culture, implying that cultural proximity contributes to the Islamic Korean wave. "Reflecting traditional family values, Korean culture is deemed 'a filter for Western values' in Iran", the article says. The chapter also examines the burgeoning Arabic fandom of Korean popular culture, more specifically, the women's negotiation of their gender and cultural identity in their online community through Facebook. The articles in the book are academic in general but it is a useful informative tool for those who want to understand the basics and nature of hallyu through various perspectives. 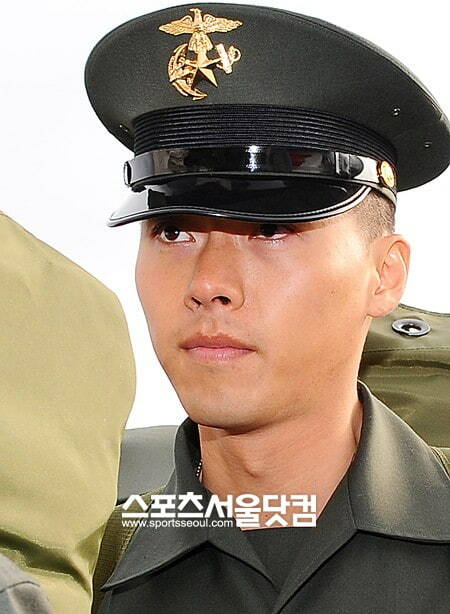 [News] Hyun Bin's Life as a Marine Recorded in Book. 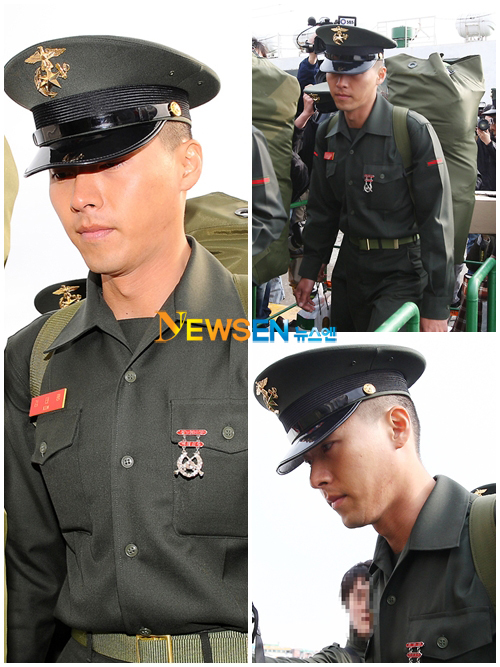 A book called "I Am a Marine" about the barracks life of heartthrob Hyun Bin, whose real name is Kim Tae-pyeong, will be released by Planet Media on Aug. 8. The book features his experience as a marine from the time when he enlisted until almost the present day. As part of the project organized by the Marine Corps, a professional ghostwriter interviewed the man dubbed "Korea's Elvis" by The Economist and took a firsthand look at his life at boot camp and in a marine unit on Baeknyeong Island. In the three-part book, the first part deals with his daily training routines, while part two introduces Hyun's life as a marine, based on interviews with him and other members of his unit after they are deployed on the island. Part three takes a critical look at what it is like to serve as a soldier in Korea, with the at-times pressure-cooker culture highlighted by a recent shooting spree at another marine unit. The book features about 300 photographs showing the marines in training and at rest in the barracks. About 50 feature Hyun in various poses, many of them heroic, such as him straining to carry a rubber boat over his head with his comrades, and him rappelling from a helicopter. When asked which of his two names, Hyun Bin or Kim Tae-pyeong, sounded more natural, the movie star and rock and roll crooner replied, "I've gotten most used to being called No. 2101," referring to his recruit serial number. But after the six-week boot camp training ended, he was more upbeat. "I've really learned many things, such as how to stay patient, how to increase my physical strength, how to find ways to relax and build a better sense of camaraderie," he said. "But the biggest boon was that I got my real name back." [News] miss A’s Suzy on acting plans and ‘Dream High 2′. miss A’s Suzy made her acting debut last year through KBS’s ‘Dream High‘ as a cold, yet sensitive character named ‘Go Hyemi’. Although she’s now busy with promotions for miss A’s comeback with “Good Bye Baby“, fans couldn’t help but wonder about whether she’d pursue acting again. 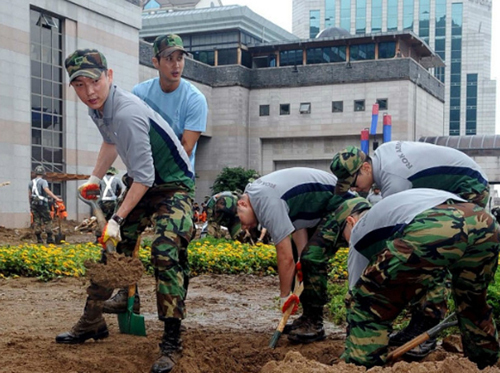 [News] Lee Jun-ki assists in flood relief efforts. Currently enlisted with Korea’s military service, actor Lee Jun-ki recently pitched in to aid with flood recovery operations. 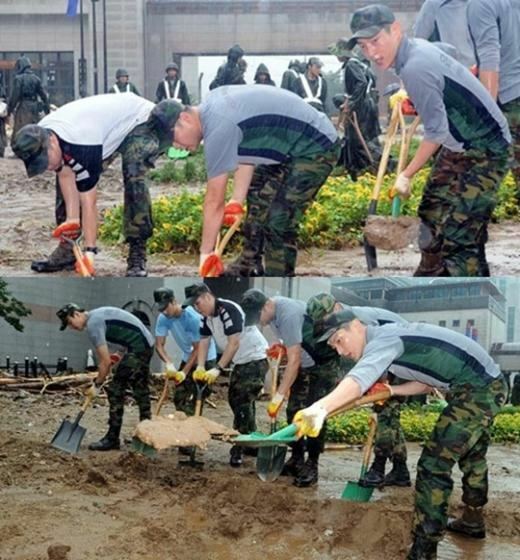 On July 28th, the Defense Media Agency posted a message on their blog under the title, “Promotional support crew on-site for flood recovery”, along with several photos of Korea’s servicemen assisting in flood relief efforts. In their photos, the promotional crew is seen doing what they can to help the relief effort. Lee Jun-ki was spotted in a couple of the photos, drawing mass attention from netizens. Lee Jun-ki is scheduled to return from the army in early 2012. [News] Yoo Seung Ho sustains a fracture due to car accident. It’s been revealed that Yoo Seung Ho suffered an injury from his recent car accident. At around noon on July 29th, the actor was on his way to film for SBS drama, ‘Warrior Baek Dong Soo’, when the vehicle he was in crashed on the highway. Sources revealed that the accident was serious enough for the car to get scrapped. [News] Jaejoong fans donate 6.56 tons of rice. 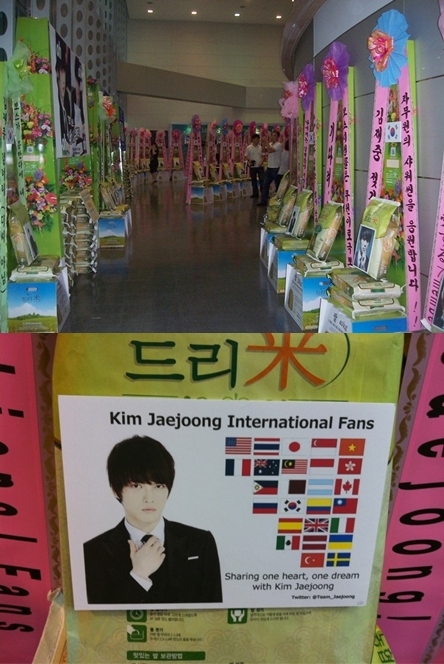 JYJ’s Jaejoong fans donated 6.56 tons of rice to help to the needy. On July 27th, a large amount of ‘Dreame‘ rice bags were delivered at the premiere of the new SBS series, “Protect the Boss” which took place at Drama Center in Seoul. In celebration of the event, all the ‘Dreame’ rice will be donated to charity to help the needy. On this day, 6.56 tons of rice was delivered in Jaejoong’s name, a staggering amount that’s enough to feed 50,000 children. It’s reported that fans from 28 countries including America, Thailand, Japan, Singapore, Vietnam, France, Australia, Malaysia, Indonesia, Hong Kong, Philippines, Qatar, Argentina, Canada, Russia, Korea, Columbia, Taiwan, Spain, Great Britain, Italy, Mexico, Latvia, Ukraine, Turkey, Sweden, Peru and China all took part in the donation. The rice deliveries began from early in the morning and as the day went on, all of the rice bags eventually filled up the hallway of the 13th floor of the building. In related news, Jaejoong will be starring in “Protect the Boss” as ‘Cha Moo Won’, the prince of the financial world. The series will kick off on August 3rd as the follow-up to “City Hunter”. [Photo & News] Lee Dong Wook shows off his muscular body. [News] Lee Dong Wook shows off his muscular body. Lee Dong Wook showed off his six-pack through a shocking shower scene. Through the 4th episode of SBS’s “Scent of a Woman”, to be aired on July 31st, Lee Dong Wook will show off his muscular body through a shower scene. His muscular body gave off a feel of both manliness and sexiness. Rumors state that during the filming of this scene, the staff members were unable to hide their amazement at Lee Dong Wook’s muscular body as he took off his shirt to film. 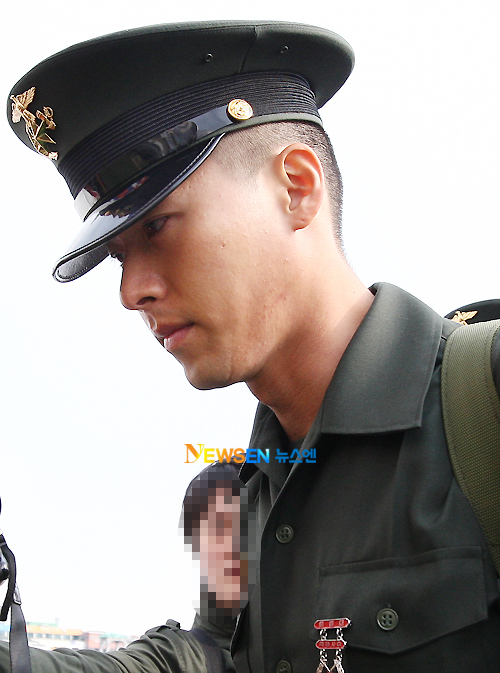 [News] Jo In Sung stranded in the Himalayas. 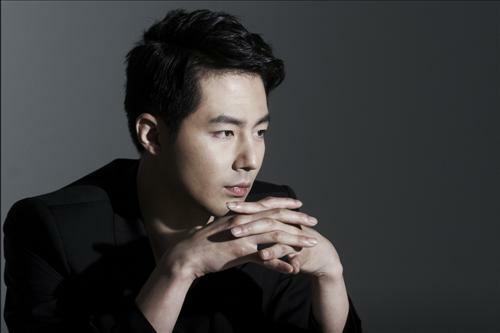 Jo In Sung is stranded in the Himalayas, according to his agency Sidus HQ on Friday. An official with Sidus told 10Asia over phone that Jo went up to the Himalayas to shoot a commercial but has not been able to descend from it due to bad weather. "The place he is at can only be reached by helicopter but it can't get there right now because weather conditions have gotten bad," the official explained. However he assured, "He'll come down as soon as the weather improves. There haven't been any accidents and there are no problems to his health. There aren't any big problems." Jo is supposed to start filming a movie, during the latter half of this year, whose title can be translated into 'martial arts of the fist,' his first project since being discharged from the military in early May this year. As one of Korea's most popular actors since his debut in 1998, Zo had appeared in a number of movies and dramas before joining the military for two years, including "What Happened in Bali (SBS, 2004)," "Nonstop 2 (MBC, 2001)" and "Classic (2003)" and "Frozen Flower (2008)." [News] Hwanhee’s new song accurately reflects his feelings on a past relationship. Former Fly to the Sky member Hwanhee revealed that there was a painful love story behind his new song, “I Feel Like I’m Going to Die“. The singer is releasing his first full solo-album since debuting 12 years ago, and he confessed during his interview with StarIn News that his title track contained lyrics that hit very close to home. Hwanhee explained that he had just gone through a difficult break-up, and so when he came across the lyrics “I didn’t think the pain would last, I need to get this off my chest / I feel as though I can’t go on / Won’t you come back to me”, he was struck by how similar his personal situation was to the song’s story. “People in relationships fight and get back together all the time. We did that too, repeatedly. I acted like the break-up didn’t bother me, but I didn’t realize it would be the last. It was so hard. I felt like I couldn’t live without her,” he said thinking back. Hwanhee didn’t write the actual song itself – it was written by composer Jo Jun Young, but because Hwanhee had shared his heartache with him, Hwanhee’s emotions naturally carried into the song. “It should’ve ended with the break-up but the break-up then turned into a song,” he said. “I worried that she may be hurt after hearing it, but as a musician, naturally I express my emotions through my music. I hope that it won’t affect her emotionally,” he concluded. 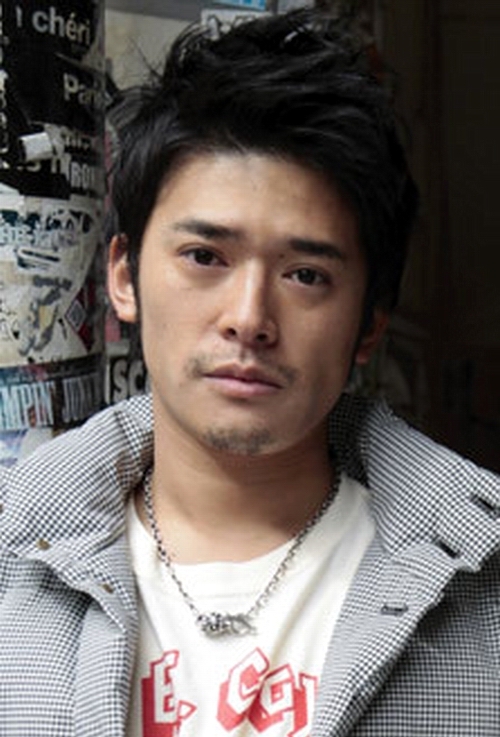 [News] Anti-Korean wave tweets cost Japanese actor's career with his agency. A Japanese actor was kicked out by his Japanese agency after his anti-Korean wave posts on Twitter caused an uproar. “Now I’m unemployed,” said Sousuke Takaoka, who came under fire a few days ago after he tweeted his animosity towards the spread of hallyu, or the Korean wave, in Japan especially Korean dramas. He accused Japanese channel Fuji TV of being a Korean TV station for showing Korean dramas. He also said that he just turns off the TV whenever he sees any Korean related content shown on the small screen. Sousuke likened the proliferation of Korean content on Japanese TV as an act of “brainwashing." His tweets received both negative and positive responses but it cost his relationship with Stardust Promotion, his agency. He posted that he and Stardust were parting ways. “Stardust Promotion and I will now be parting ways. My tweets caused inconvenience to my agency and to the concerned parties. I am filled with gratitude. Thank you to everyone for your support,” said he, whose profile on the agency’s website is no longer available. Incidentally, Sousuke’s Japanese drama “Furusato: Musume no Tabidachi,” or “Home:Departure of the Bride” is currently airing on Fuji TV. The Korean wave has been sweeping Japan recently especially in music. 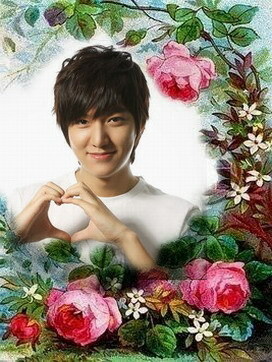 Korean dramas are aired on Japanese TV stations. K-pop groups have also ventured into the lucrative Japanese music market. Among those that have been successful in Japan include KARA, Girls Generation, Big Bang, SHINee, and BEAST. Boy band TVXQ and solo artist BoA, who were the first Korean artists to succeed in Japan, have opened the doors for others to follow.